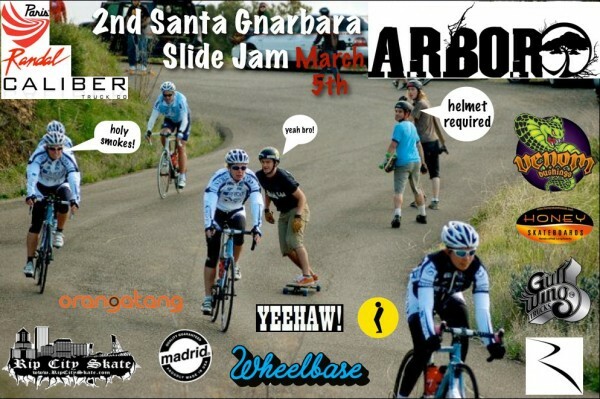 Max Myers and the SB boys are throwing their second annual slide jam on March 5, 2011. Last year’s was good times fo’ sho, so come join us for this year’s event. The Santa Barbara homies are down-as-the-ground, and their hills are critical—some of the best in California. If you can’t make it out for some reason, not to worry—simply keep your eyeballs peeled for the in-depth coverage of the event right here at Wheelbase. Is this still happening on a monday, I can't find the link on facebook and the link posted isn't working. I'd be stoked to see this happen! Yo homie, your best bet is to get a hold of Max Myers via Facebook or the UCSB Longboard Club for any details. Hope that helps. Roll on.